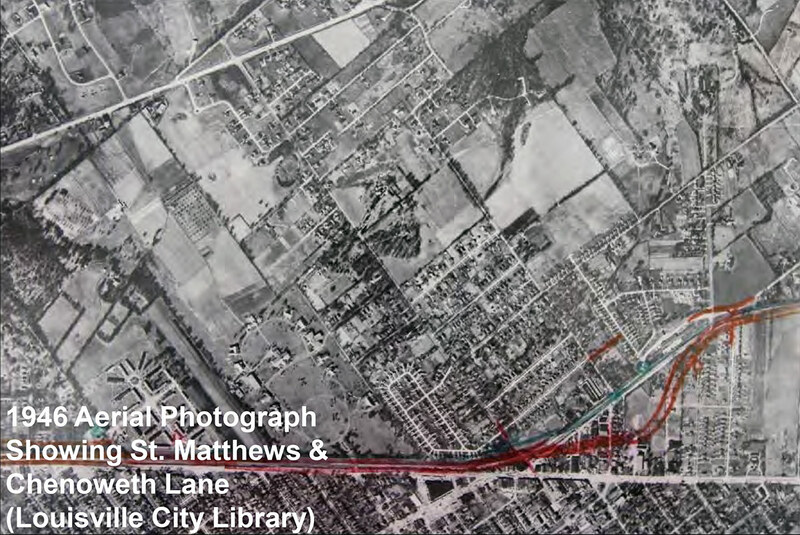 Over 100 people joined the Kentucky Transportation Cabinet (KYTC) at a recent public meeting to hear about a study that will investigate making changes to Chenoweth Lane through St. Matthews. As we previously noted, the two-lane Chenoweth runs just over a mile between Shelbyville Road and Brownsboro Road. Residents learned at the meeting that KYTC wants to spend money on Chenoweth Lane—but as of now, the state agency isn’t quite sure how. It’s called project number 5-531.00 and carries an official purpose stating, “To improve safety, reduce congestion and improve mode choice for non-motorists on KY 1932 (Chenoweth Lane),” and public input is being collected through December 1. Safety is among KYTC’s biggest justifications why changes are needed along Chenoweth Lane. According to KYTC figures, there have been 76 crashes in the past three years—about one every two weeks—on a street that carries roughly 11,900 vehicles a day. That means about 960 vehicles in the morning rush and 1,160 in the evening rush hour. Ten of those crashes were due to snow, ice, or rain, 15 were due to distracted driving, 14 were labeled “aggressive” driving, and none of them, according to the KYTC, involved speeding. 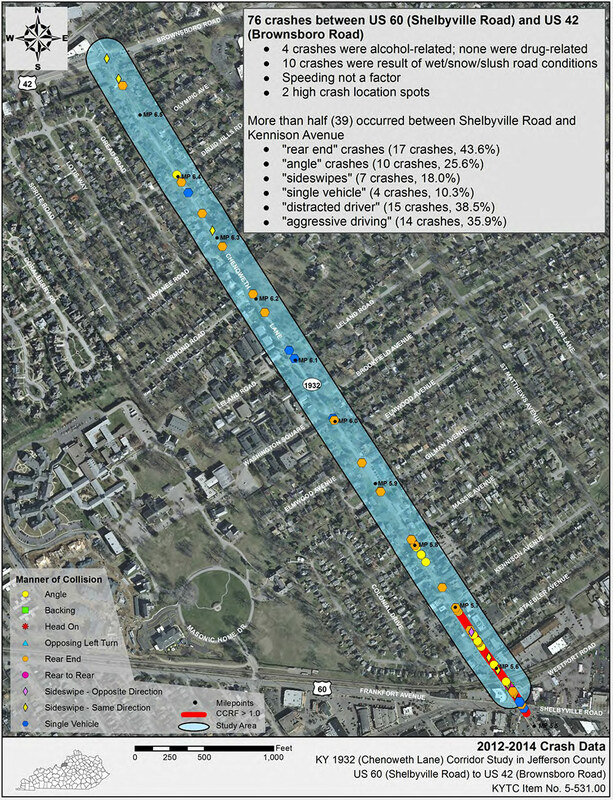 Most appear to be due to sudden stopping near the railroad tracks at Shelbyville Road where the street turns commercial in nature with businesses lining its edges. Other safety hazards, according to KYTC, are trees and utility poles along the road in the so-called “clear zone.” The state agency’s presentation noted that KYTC typically prefers 10-foot-wide shoulders on each side of the road. 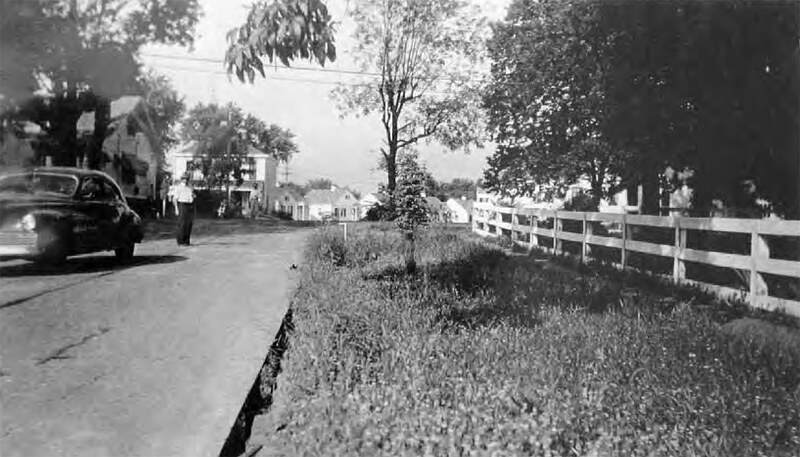 Their presentation also cited an incomplete sidewalk network along the street. Another reason for change, according to KYTC, is air quality. For the highway department, faster moving traffic means better air. The Chenoweth Lane presentation indicated that the area only shows “moderate potential for improved air quality” and that the area is in compliance with air standards, so this reasoning for a road widening doesn’t appear to be a strong one. The state is concerned about congestion along Chenoweth Lane even though its own numbers show that traffic has been decreasing over the years, from over 13,000 vehicles a day to under 12,000 in the past 25 years. Its projections for the next 20 years show that not a lot will change if the street is left alone—largely because the area is built out. During non-peak hours in 2035, average travel time would remain the same as today, ranging between 2:20 and 2:35 to travel the mile-long stretch. Travel times over that mile 20 years from now, according to KYTC, could increase between two seconds and twelve seconds in the morning and 18 and 33 seconds in the evening rush hours. Rush hour trips take approximately 3 minutes over the length of the street. A motorist traveling free of traffic and all stops at the 35 mile per hour speed limit would take approximately 2 minutes to cover a mile. We’re talking about spending millions of dollars to shave off a few seconds of travel time, according to the study results. 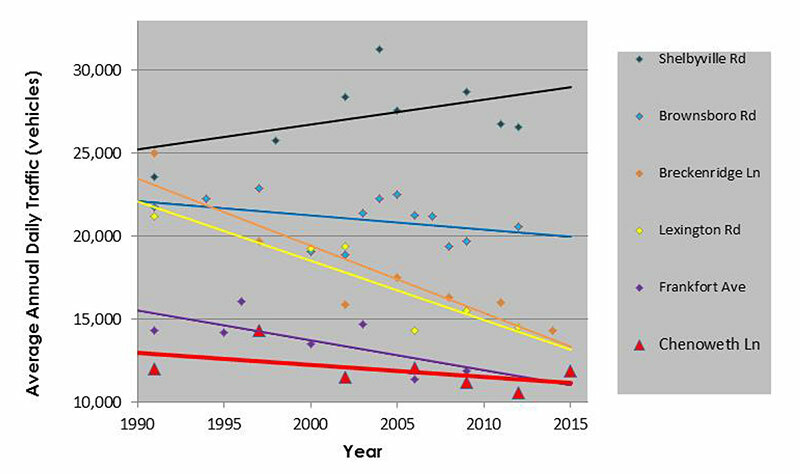 If the traffic numbers continue to decline as has been the 25-year trend, these 20-year projections could end up being wrong and traffic congestion might decline on its own or with the help of alternative transportation facilities. “I’d love to see crosswalks a couple of places to slow things down, to make it possible to move across and act as a community not as a thruway,” Ken Wilson, St. Matthews resident and Broken Sidewalk reader, told Rivera. The main problem with the road appears to be an at-grade train crossing near the intersection of Westport Road and Shelbyville Road. According to site analysis, KYTC counted roughly one train an hour crossing the street at this location for an average of 2 to 3.5 minutes. But so far, there no telling what the KYTC will recommend. 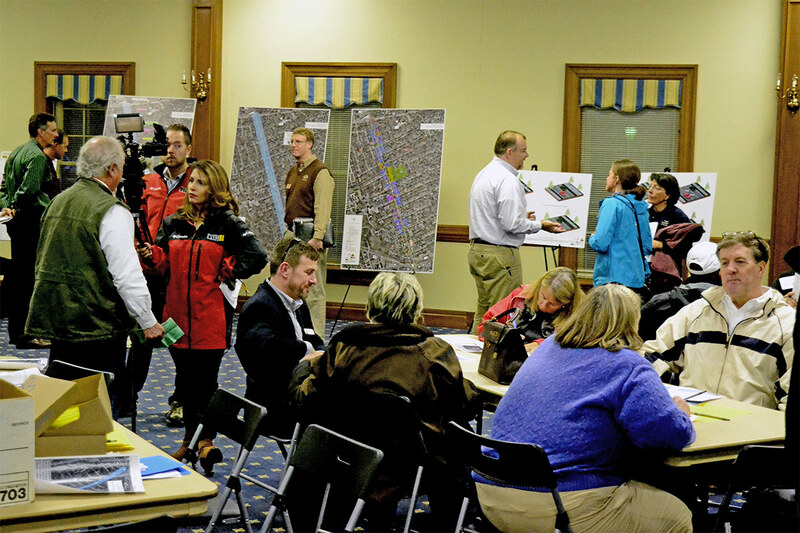 Their presentation listed a number of possible outcomes, including no action, adding a bike-pedestrian shared-use path, elimination of “roadside hazards” such as trees, adding turn lanes, or even widening the street to a full three lanes with a continuous center turning lane. The full slate of bike-ped improvements and a widened street could cost upwards of $26 million, more than what’s available right now. Current funding for the project appears to be just over $7 million, of which this study cost $200,000. While it’s clear from decreasing traffic numbers along Chenoweth Lane that widening the street or accommodating faster-moving traffic is not the solution, increasing cyclist and pedestrian facilities could be a major boon for the area. According to the state, Chenoweth Lane earned a “D” grade for its “Bicycle Comfort Index.” Sidewalks along the street are often too narrow, broken, nonexistent, or not ADA accessible. The lone mid-street crosswalk is not even ADA compliant. With three schools in the immediate area and downtown St. Matthews growing into a popular walking destination, these alternative modes would decrease traffic, pollution, and add to safety. 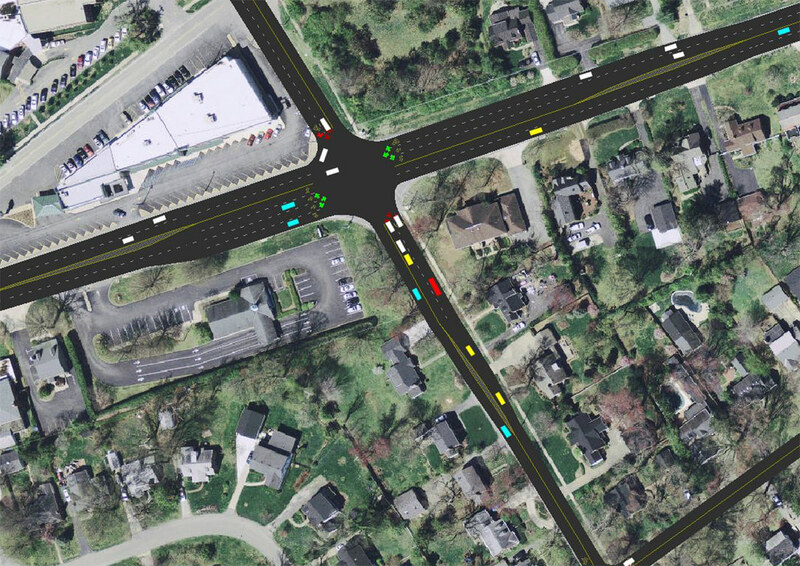 You can still weigh in on Chenoweth Lane and support bike and pedestrian improvements. KYTC has set up an online survey here and public comment is open through December 1. Realistically, the only bicyclist-specific improvements that make sense on this section of roadway are shared-lane markings. The sheer number of driveways and cross-streets make edge-of-pavement bike lanes a bad idea. Remember that EVERY driveway and cross street introduces crossing movement conflicts. The vast majority of cyclist-vs-motorist crashes happen because of crossing movement conflicts. Making such problems more frequent is not in the interest of cyclists.